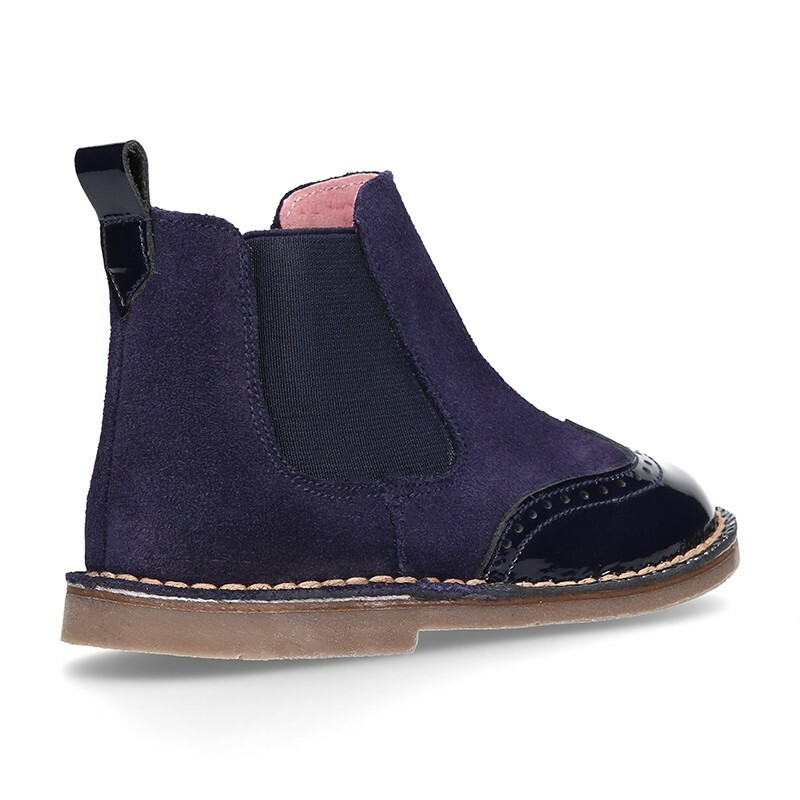 Okaaspain, tienda online de botines de piel serraje combinado con charol. 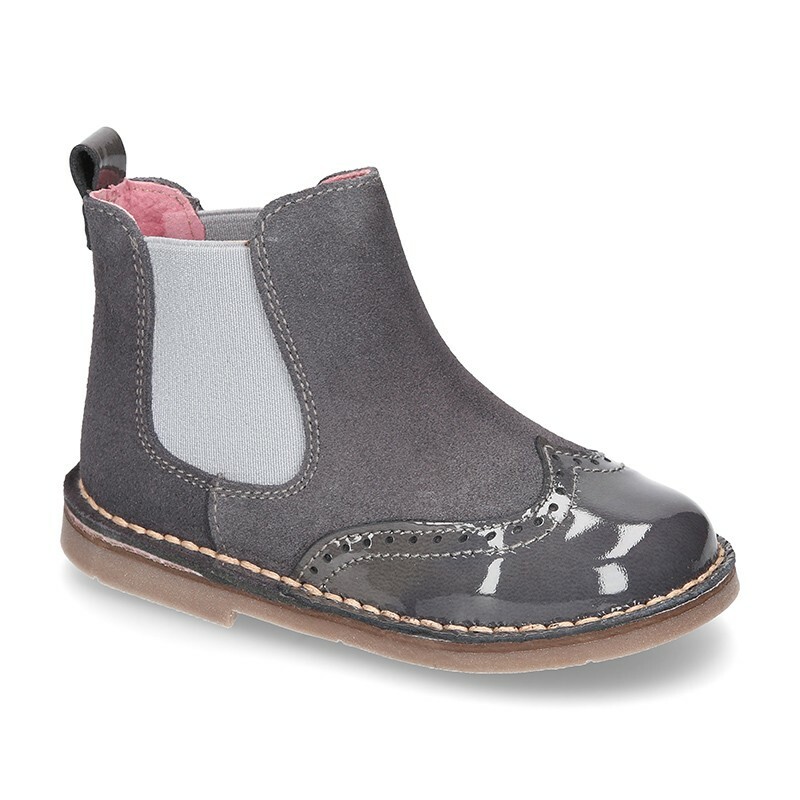 > Toddler girl>Boots and ankle boots>Casual combined ankle boots with patent leather toe cap. 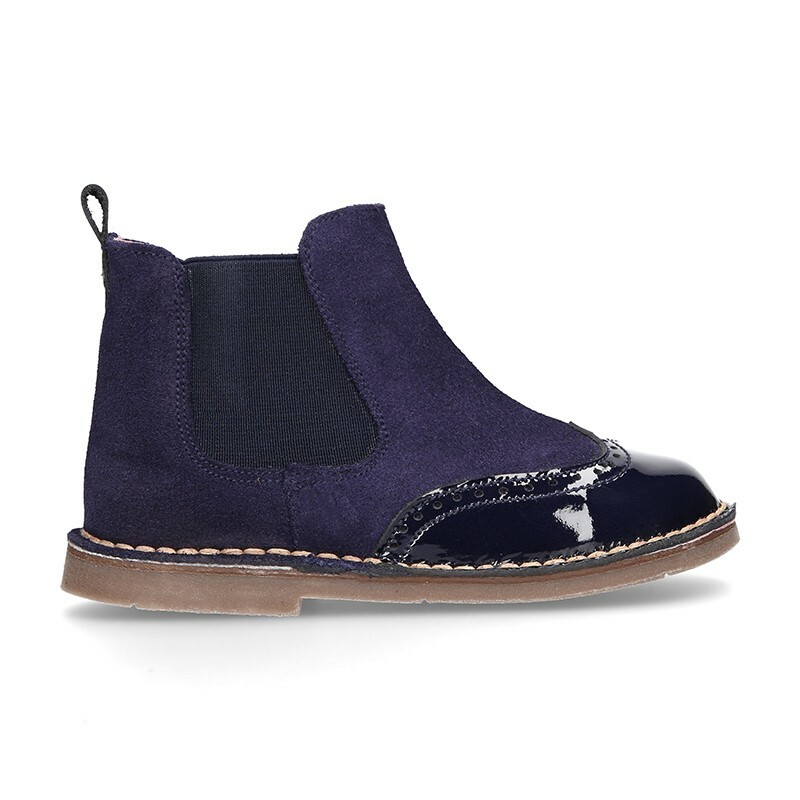 Casual combined ankle boots with patent leather toe cap. 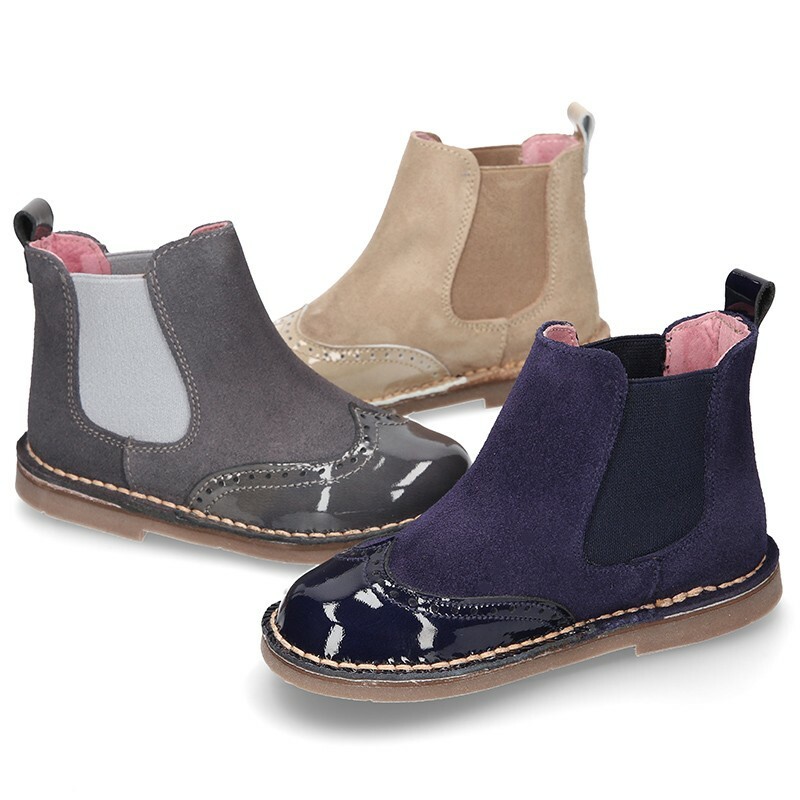 Casual suede leather ankle boot shoes with elastic band and patent leather toe cap for kids. More info about Casual combined ankle boots with patent leather toe cap. 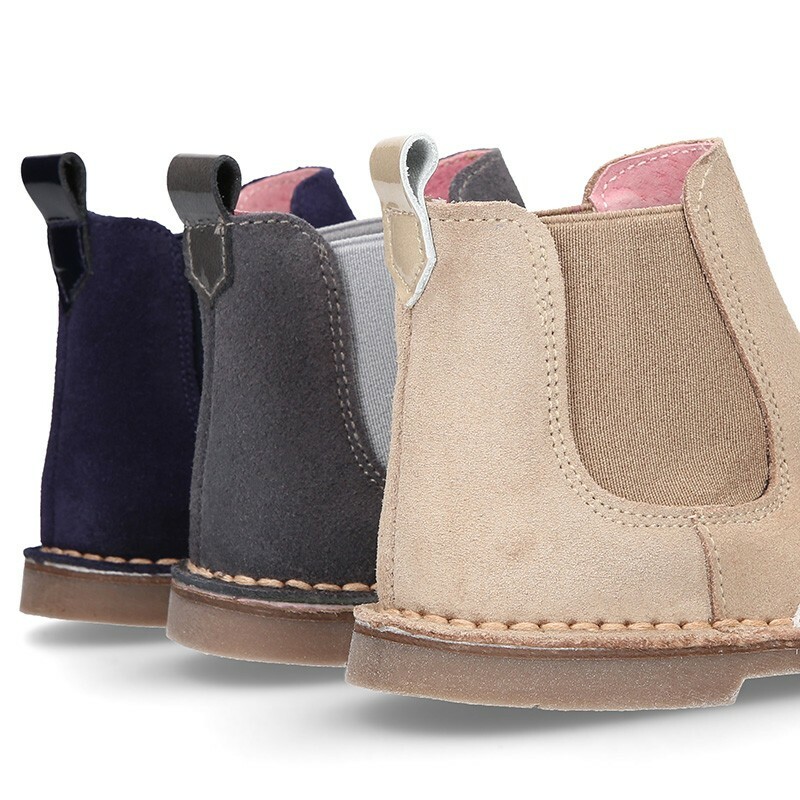 Casual sport combined leather little ankle boot shoes with elastic band in suede leather and patent leather toe cap for kids. A casual style very trendy this season!. Very comfortable for everyday. 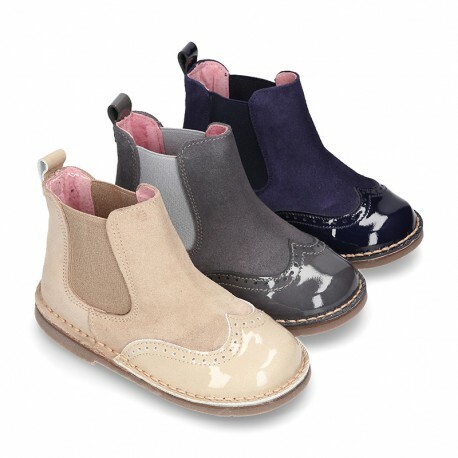 Perfect to keep warmer their feet this autumn winter. 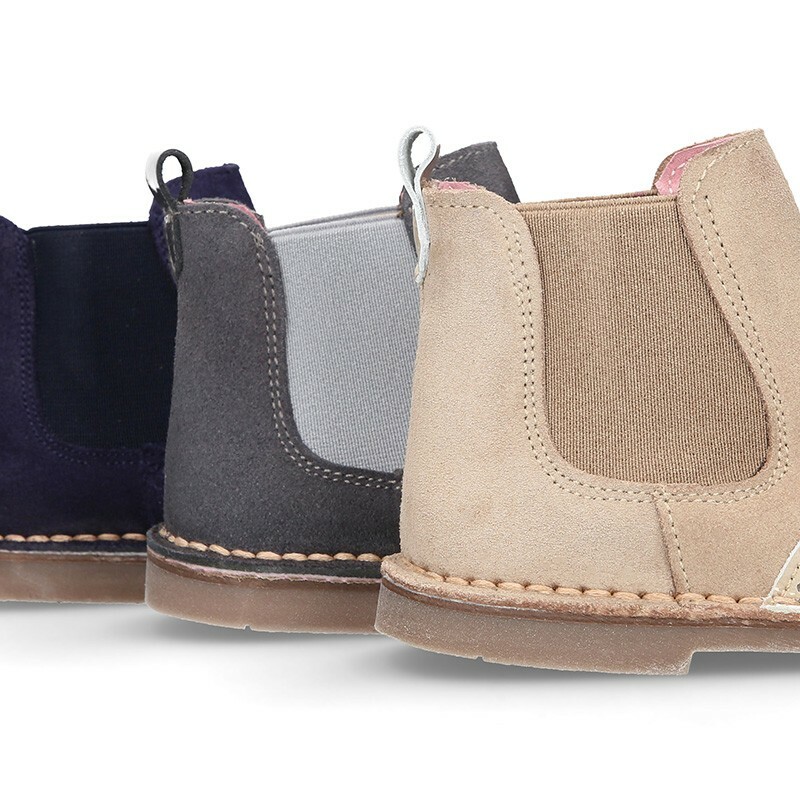 Mix and match with all their casual looks this season. It´s a new model very elegant and different. 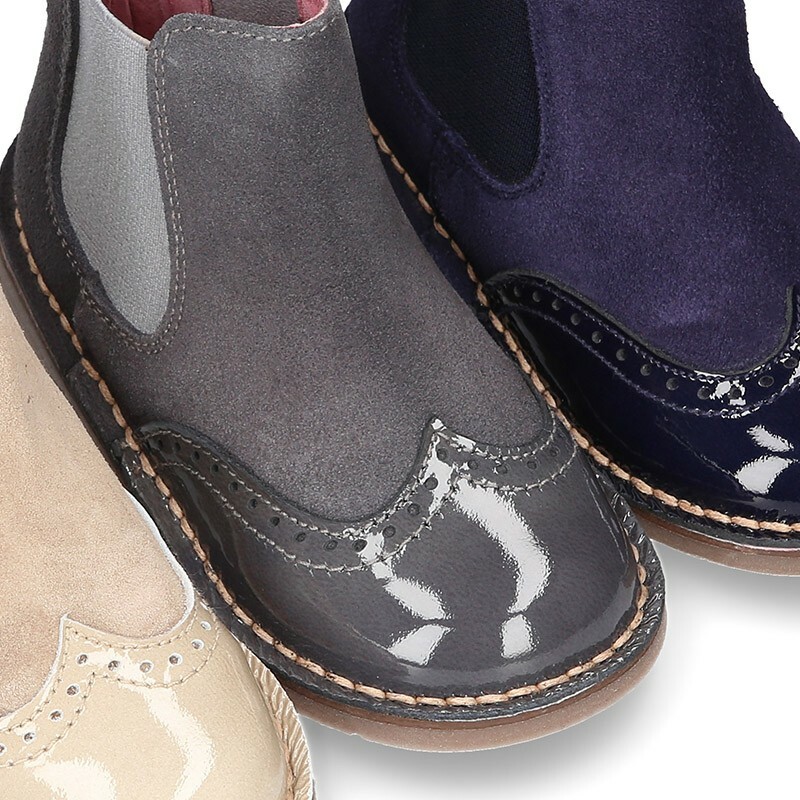 Made up of 100% natural high quality combined suede leather with patent leather. 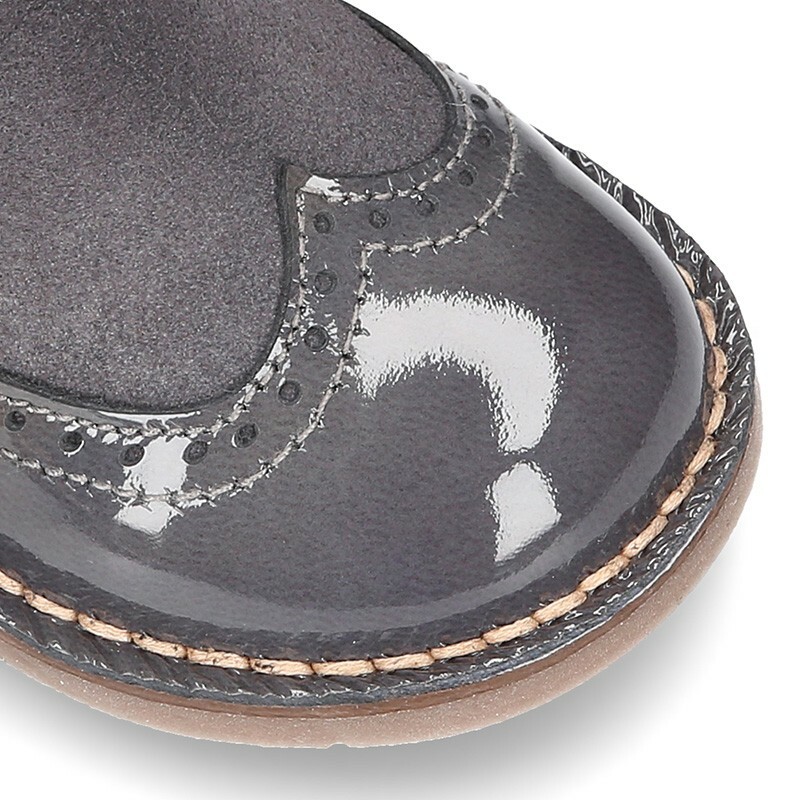 Patent leather effects are very trendy this season in all kids collection. It´s a UNISEX model. 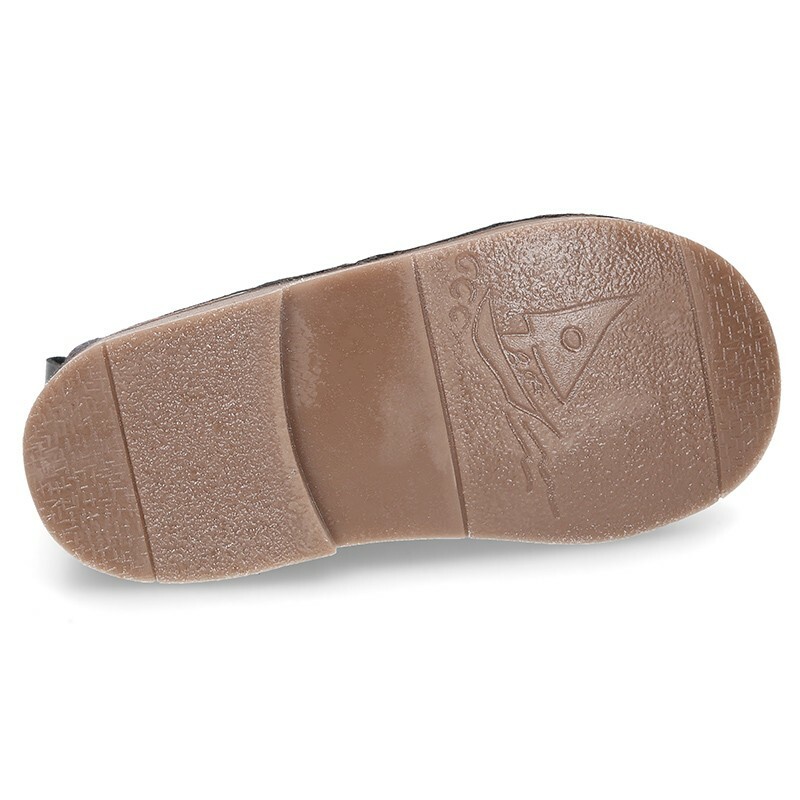 Sole made up of high quality non-slip flexible rubber, perfect to avoid cold days. 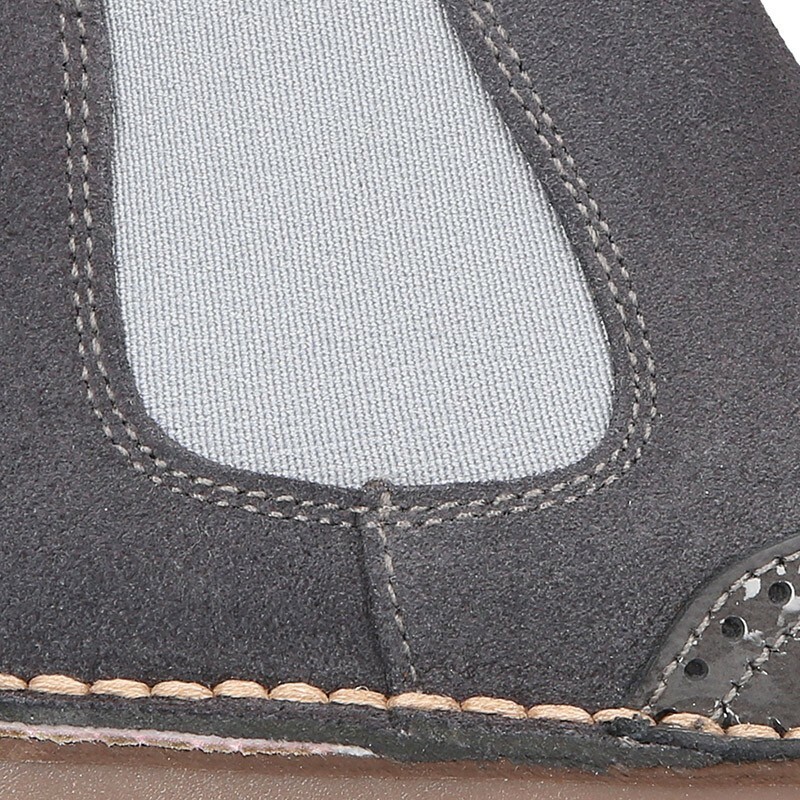 Fully lined in nappa leather and padded footbed for a good perspiration of their feet. Available in 4 colors. 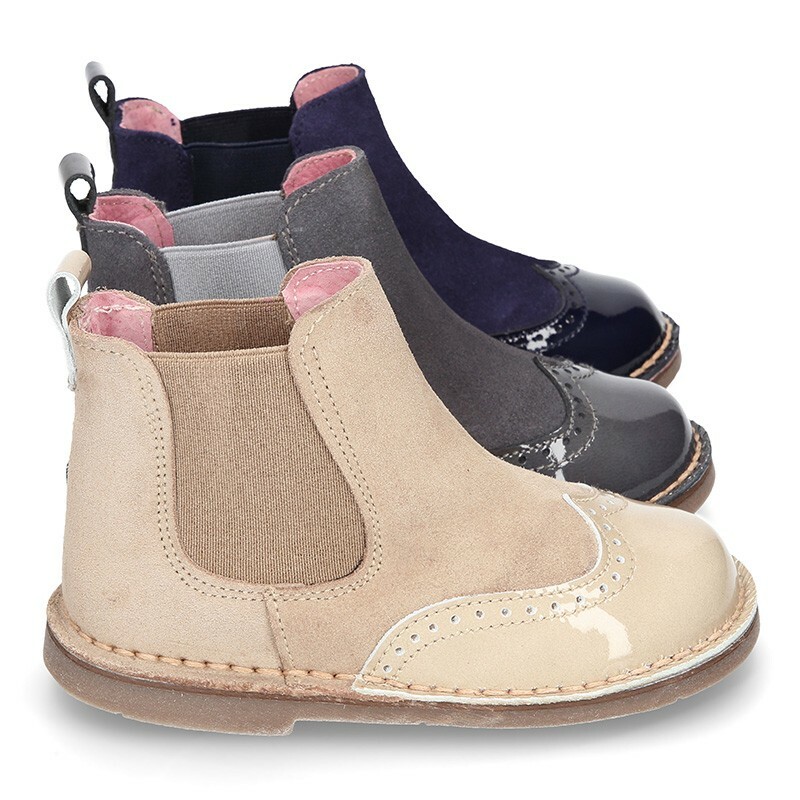 Range sizes: from 20 Euro size up to 34 Euro size. SIZING REGULAR. 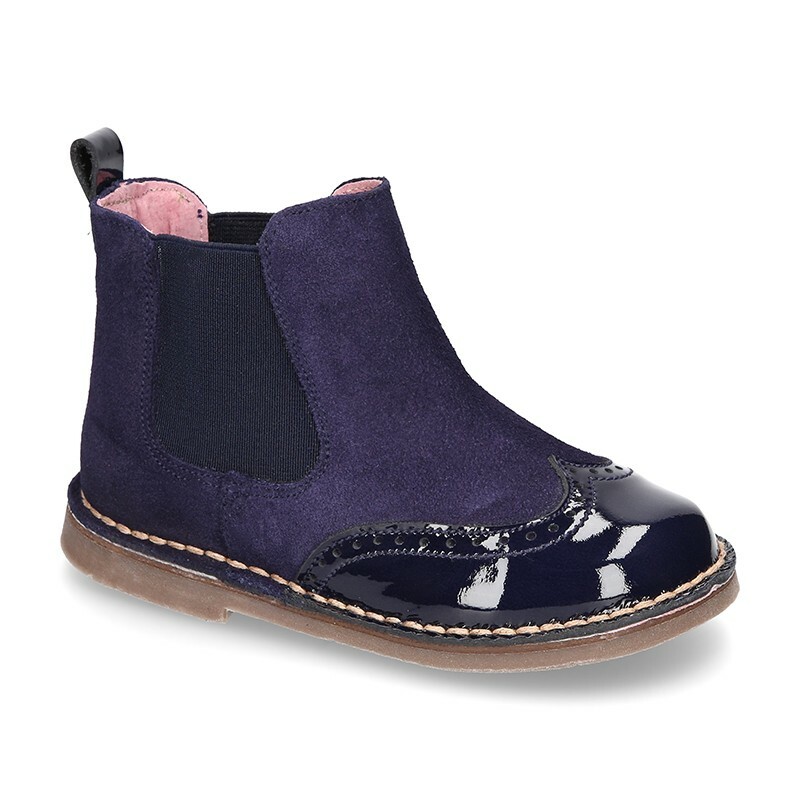 Data sheet about Casual combined ankle boots with patent leather toe cap. 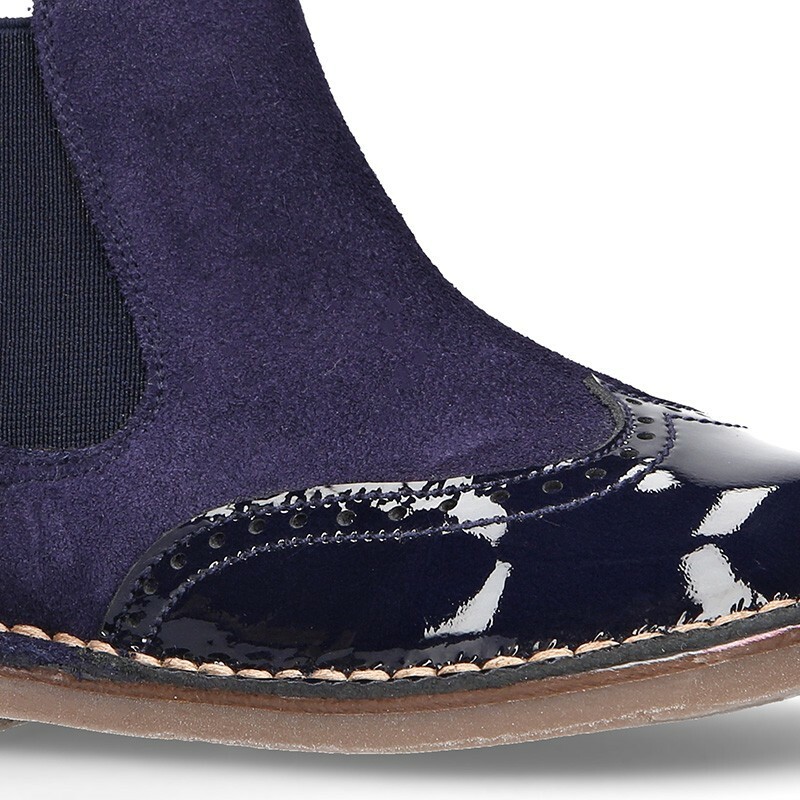 Medidas sobre Casual combined ankle boots with patent leather toe cap. Más bonitas incluso que en la foto! quedan pegaditas al tobillo y son muy calentitas.